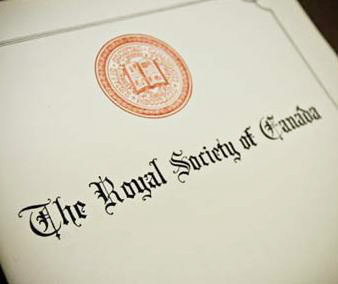 Today, the Royal Society of Canada (RSC) announced the induction of 89 new Fellows, five of whom are McGill researchers and scholars. The RSC also announced 52 new members to the College of New Scholars, Artists and Scientists, including six McGill scholars. The new cohorts of Fellows and Members will be formally inducted into the RSC in November, in Halifax. Two of this year’s five McGill Fellows — professors Hans Beck and Stephen Menn — are pioneers in the field of Classical Studies. Beck’s research on the emergence of localism in the city-states of Ancient Greece has garnered local and national attention, while Menn’s contributions are recognized in all areas of ancient philosophy, but especially his transformative solution to the problem of the aim of Aristotelian metaphysics. Dr. Samy Suissa, whose research in pharmacoepidemiology has shed light on the risks and benefits of medications within the population at large, Susanne Lajoie, an internationally focused researcher and an expert on collaborative learning, and T.V. Paul, whose research has had a significant impact on the development of policy in the areas of peacebuilding, security planning and nuclear arms control, were also named as Fellows. The six newly appointed members of the College will address issues of particular concern to Canadian society, including mental health and environmental management, taking advantage of the interdisciplinary approaches fostered by the College. Fifty-one Canadian universities and the National Research Council nominate members to the College, which is the first national system of multidisciplinary recognition for Canadian intellectual leadership. Each new cohort represents an emerging generation of scholarly, scientific and artistic leadership from coast-to-coast. Hans Beck’s path-breaking work has led to major innovations in the study of ancient Greek and Roman political culture. Beyond the Mediterranean World, he is an active agent in the development of international research networks in comparative history, including comparisons with ancient China. His prolific output informs contemporary debates about local and global paradigms, the relationship between ethnicity and federalism, and the modes of economic cooperation in federal systems. Stephen Menn is known for his profound understanding of all areas of ancient philosophy, but especially for his transformative solution to the problem of the aim of Aristotelian metaphysics. He has written the first commentary on the overall argument of Aristotle’s Metaphysics since the Canadian Joseph Owens in 1951. He also works on Arabic and Latin medieval philosophy, and on history and philosophy of mathematics, modern as well as ancient. 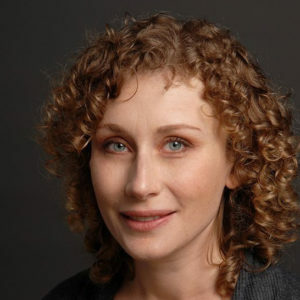 Susanne Lajoie’s groundbreaking research merges cognitive science with leading edge computer technology, and helps stimulate learning in social and life sciences. Her innovative technology environments encourage independent thinking, reflection, and the self-management of learning and emotions. Dr. Lajoie’s international research on collaborative learning links people from different cultures and activates life-long learning skills. Tomislav Friščić is developing new, innovative approaches that make chemical research and manufacturing, cleaner, greener, and simultaneously faster and more efficient. His work involves academic and industrial collaborations, creation of CleanTech businesses, and has created new opportunities and patented processes in a wide range of chemical activities, from making pharmaceuticals and new materials for sequestration of greenhouse gases, to safer and cleaner routes for processing biomass, metals and critical elements. Iwao Hirose’s research lies in the area of value theory in contemporary ethics in two broadly defined but related areas: the theory and value of distributive equality and the ethics of public policy. He is one of a very few scholars who have excellent ability and knowledge in both the disciplines of philosophy and economics. He applies this knowledge and these skills to his work on health care and environmental policy. A multilingual scholar, Lorenz Lüthi works on Cold War issues from an international perspective investigating how the structure of the international system interacts with ideologies. His work on the Sino-Soviet split changed the whole field of investigation. His current research focuses on the global Cold War in three distinct but related regions: Europe, the Middle East, and East Asia linking Cold War aspects of national and international history across continents. Krista R. Muis is a Canada Research Chair Tier II in epistemic cognition and self-regulated learning. Her research focuses on how students’ epistemic cognition and emotions influence various facets of learning, motivation, and academic performance. She also examines how individuals process complex, contradictory content on socio-scientific issues such as climate change, genetically modified foods, and vaccinations. Her research informs classroom practices in mathematics and science learning across multiple educational levels. Nitika Pant Pai, a tenured Associate Professor at McGill, is a recognized global expert in point-of-care diagnostics for HIV and co-infections. Using implementation research, she develops integrated innovations that plug health service gaps in low-middle to high-income settings. She synergizes diagnostics, process innovations, and artificial intelligence with program science, for public health and social impact. A recipient of research and innovation awards, she advises health agencies, and contributes to global diagnostic policies. Vincent Pouliot is nationally and internationally known for his leadership in developing a new approach to the study of world politics, often referred to as the practice turn in International Relations. He is widely recognized as one of the main contributors to this innovative research program, which has now spread across subfields ranging from security studies to global governance through environmental politics, international law and political economy. Read the RSC press release.